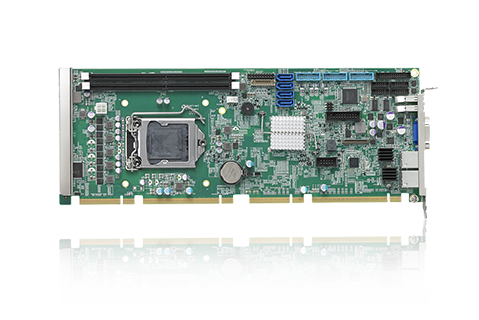 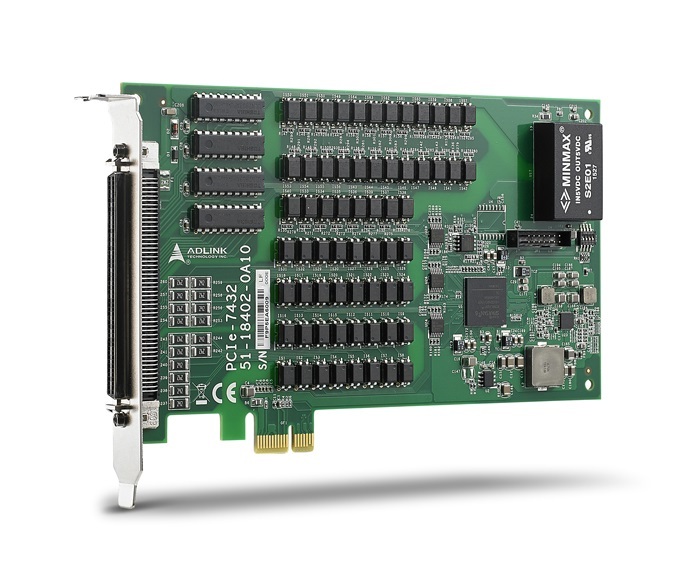 ADLINK PCIe-7432 is a 32CH Isolated DI & 32CH Isolated DO PCIe Card, featuring robust 2,500V isolation protection, suitable for most industrial applications. 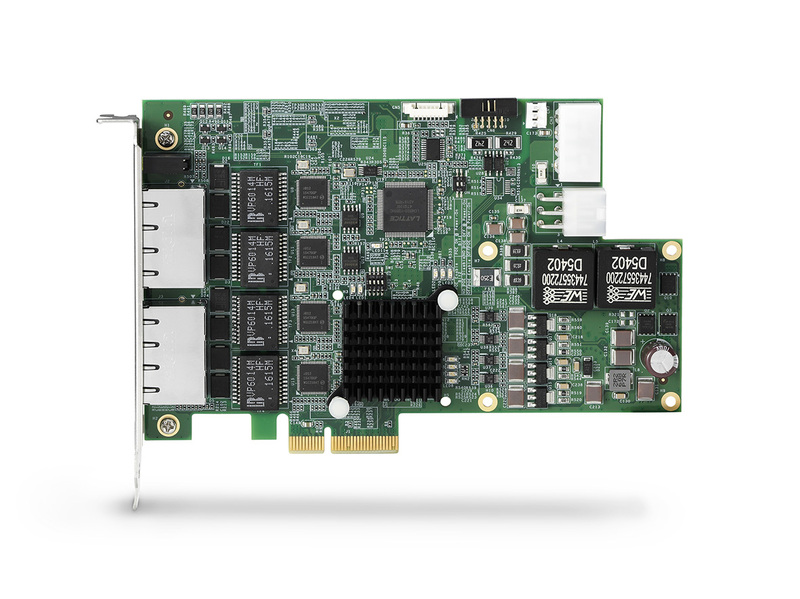 Input range up to 24V makes it easy to acquire status of external devices (PCIe-7432HIR output range is from 5 to 35V), making it suitable for relay driving and industrial automation applications. 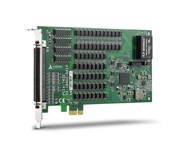 Also provided are two easily configurable interrupt sources on digital input channels.